Recently Elon Musk tweeted this picture of the SpaceX prototype Starship, which they will use for VTOL. He said that steel is cheaper compared to carbon fiber and has high melting point etc, which are the reasons for his idea of using it. Did NASA or other space exploration companies ever use steel as the outer shell of a space craft? Steel has been used, for example for the Atlas and Centaur, and for the Shuttle SRBs. Most rockets switched to aluminium because it's lighter and because the rocket was expendable and didn't need to survive reentry. Not the answer you're looking for? Browse other questions tagged spacex nasa or ask your own question. 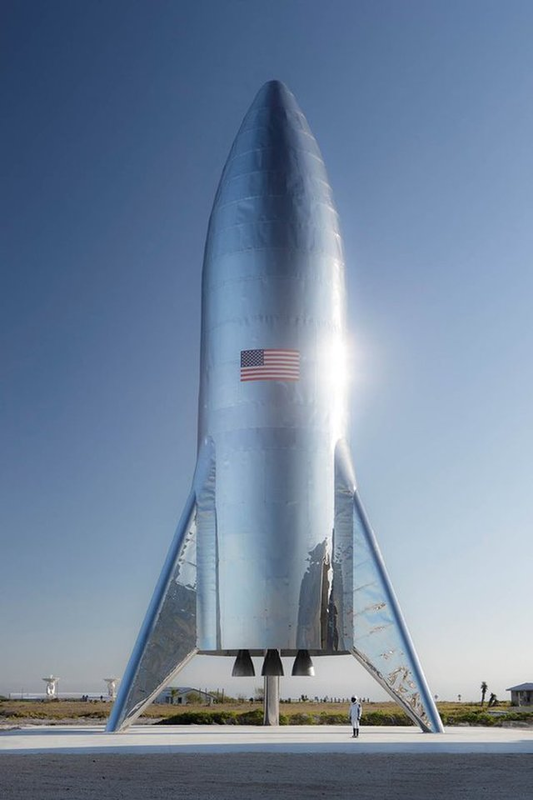 Why has SpaceX changed Starship from carbon fiber composite to stainless steel? What's the advantage of using an SLS system rather than a number of small lift rockets? Can we trust reusable rockets? Why we always build only one spacecraft? What steps is Elon Musk taking to colonize Mars? What is Elon Musk's Roadster orbital period? Would Elon Musk's roadster be able to rotate itself using its wheels as reaction control? How does somebody build a GPS satellite?